If you have an animal or adventure lover in your family, then you probably already know about the Wild Kratts. Chris and Martin Kratt are real life brothers from the shows Kratts’ Creatures and Zoboomafoo. In the show Wild Kratts, the brothers have created animated versions of themselves to go on wild adventures of action and mystery with different animals. The show teaches viewers about rare and interesting animals, their habitats and other interesting bits about their homelands. 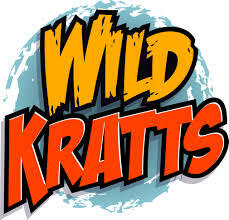 The award winning live performances by the Kratt brothers are not to be missed! Full of action and adventure, the animated show comes to life when the Kratt brothers activate Creature Power Suits to conquer a villain and rescue a helpless animal friend. Tickets would make a fantastic gift for any Wild Kratts lover on your list. Just released – a limited number of Meet and Greet passes area available! Contact the Centennial Hall box office to purchase. Saturday, December 27, at 1:00pm. Tickets are $34.50 each and can be purchased online, by phone or at the Centennial Hall box office. This entry was posted in Best of London Ontario, Entertainment, Recreation and tagged animals, Centennial Hall, Christmas, gift, Live, Wild Kratts.